The education of their children is of paramount importance to all Indian parents. They spend tens of thousands of crores each year to get their young educated. The country fetes its successful students : from class X to board toppers and those who 'crack the IIT JEE' to those who clear the civil- services examination. Yet things on the ground are dire. About 70 per cent of all students ( in villages, towns and cities) have to make do with inferior schooling. Metropolitan newspapers are full of the difficulty of getting a nursery seat in a good school. And while there is a seat crunch in the better colleges too, only 10 per cent of all students between the ages of 18 and 21 are enrolled in college. Crores of educated Indians discover too late that they do not have the skills to land a suitable job. Y.S. 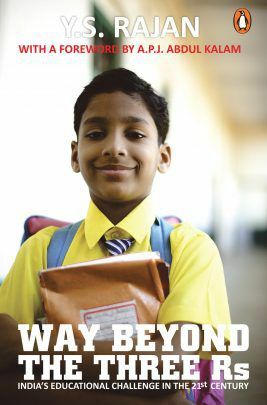 Rajan examines the gamut of issues involved in India's efforts to educate its young people and the work required to fix schools, vocational training centres, colleges and universities. He argues that Indian education needs reforms on a scale comparable to those which freed the economy of the shackles of the licence-permit raj almost twenty years ago.